University Station located along the Great Northern Railroad tracks. Three men lean against the left front wall of the station - one man is walking towards the front entrance. One man is standing by the front right corner. Two women are walking along the west side of the building. 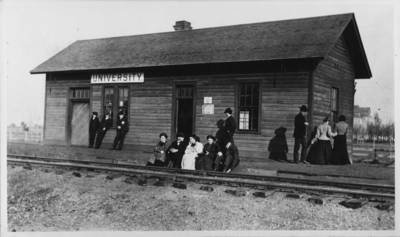 Three women and two men sit on the platform along the railroad tracks.